London, this beautiful and vibrating capital city, can offer you the best means of entertainment and cultural venues. However, we should not forget to mention the palette of accommodations, ranging from low cost hostels to five starts hotels. If you want to enjoy the whole British experience, then we would recommend for you to allocate an important part of your budget to a chic accommodation. 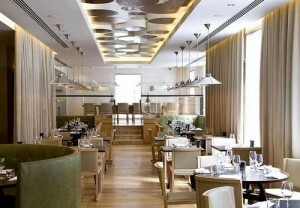 For example, you could choose London Marriott Hotel Grosvenor Square. There is a great deal of reasons for booking this hotel. First of all, its luxurious facilities and interior design will certainly make a good impression. It represents the perfect occasion for a romantic getaway. Second of all, you can visit the most popular attractions in London without depending on any private or public means of transport. This means that the London Eye, Buckingham Palace, Hyde Park, Tate Modern, Madame Tussauds, Kew Gardens and many more at a walking distance. In order to get a Luton to London Marriott Hotel Grosvenor Square Transfer by rail there are two main options. First of all, you could take the bus from Luton Airport Bus Station (line 888 – every 10 minutes), followed by a train from Luton Airport Parkway (every 15 minutes), a Tube from West Hampstead Underground (every 5 minutes) and a 9 minute walk. This journey will take about 51 minutes in total. The second option is a bus from Luton Airport Bus Station (line 757 – every 30 minutes), ending with an 8 minute walk. This journey lasts about 1 hour and 15 minutes. A Luton to London Marriott Hotel Grosvenor Square Transfer by car can be done by taking the M1 motorway. Luton Airport is at a 32.5 miles distance from London Marriott Hotel Grosvenor Square. This journey will take about 46 minutes, without including traffic. A Luton to London Marriott Hotel Grosvenor Square Transfer with 247 Luton Airport Transfer is going to take about 1 hour and 10 minutes, including rush hour traffic. The price for a Luton to London Marriott Hotel Grosvenor Square Transfer starts from 54 GBP.